All our guides are Sri Lankan nationals and hold a licence delivered by the Ministry of Tourism. Kalum has been involved in tourism since 1998. He has been an English-speaking national guide for 8 years and has a good proficiency in English. Abeykon has been a tourist guide for a dozen years ans is a specialist on the site of Sigiriya. He can speak English and has some knowledge in French. More has been a tourist guide for 15 years. He can speak English and has some knowledge in French. Sampath has been involved in tourism since 1998. He is a French and English speaking chauffeur guide. 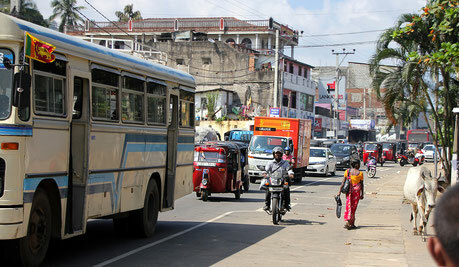 Road traffic in Sri Lanka is very heavy and hectic. An experienced driver is essential. We also have a baby car seat for the little ones.